Arrive in Wanaka/ Queenstown and be met by your iTrek representative, and transfer to drive to your hosts Bed and Breakfast accommodation in beautiful Lake Wanaka. 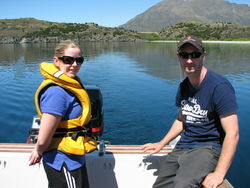 Relax in Wanaka, enjoy the sights, and maybe go boating on the lake. 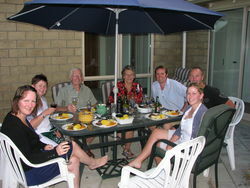 Enjoy a typical barbeque, with succulent lamb and venison, followed by the pavlova, a classical New Zealand dessert. Travel to Queenstown, sample some wines on the way, and have pre-hike talk in the evening. Start the Hollyford Track. Travel by bus to the start of the track in the majestic Ellington Valley. 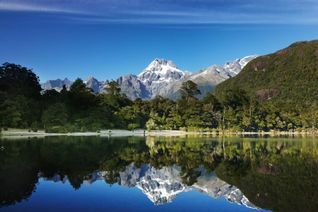 Today you will walk for about 17km, though beech forests and tumbling waterfalls, before spending the night at Pyke Lodge. A short walk to Lake Alabaster, and then a jet boat ride across Lake McKerrow to the historic site of Jamestown. 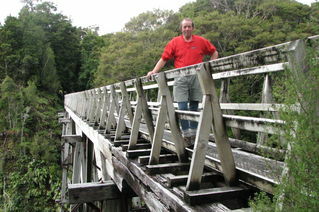 A short walk then follows on to the Martin's Bay Lodge, maybe seeing the rare Fiordland crested penguin on the way. Relax In Wanaka, and maybe enjoy a massage, for those tired legs. Enjoy a cycle/walking trip along the shore of Lake Wanaka or an art or wine tour. Travel to Tuatapere the start of the Hump Ridge Track. 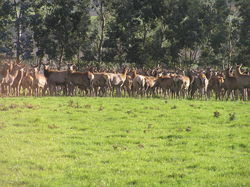 On way visit your iTrek host's sheep and deer farm. Enjoy experiencing this true working farm, which has won an environmental award. A pre- hike briefing takes place tonight. Fly by helicopter along the coast before you begin your steady climb up Hump Ridge. The bush gives way to sub-alpine tussock grasses and finally Okaka Hut. Traverse along the hump ridge past sandstone tors and mountain tarns. Then descend to the coast and follow an old logging tramway as it leads as across the massive Percy Burn Viaduct the highest remaining wooden viaduct in the world. Tonight is spent at the Port Craig Village. Explore the village of Port Craig before walking along the coast to the end of the track. With a little luck you may see the rare Hector’s dolphin playing in the surf. (read more) Travel back to Wanaka. Relax in Wanaka, and maybe have a short walk around the vineyards or an art tour. Travel from Wanaka to Makaroa and the start of the Gillespie Pass track. 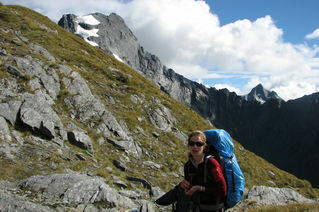 After crossing the Makarora river we walk up the Young Valley to the Young hut. Today you will have seen temperate rainforest, waterfalls and roaring canyons. We continue to walk up the valley before beginning our steep climb up to the Gillespie Pass and one of the great view points of the Southern Alps. We continue down to our camp for the night beside the Gillespie stream. Today we leave our packs behind as we climb up to Lake Crucible which is a geographic wonder. Spend the night beside the Gillespie Stream. This is the easy day of the trip, with it being all downhill, to where we meet a jet-boat and an exhilarating ride back to Makarora. (read more). Travel back to Wanaka to a comfortable bed. One last day in Wanaka, with time to buy those presents, and have a farewell meal with your iTrek hosts, George and Mary. DAY 20 - Fly home.